For over thirty years Emmeti have been a world class brassware manufacturer. 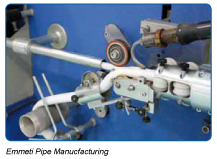 The younger UK division has focussed on developing the application of manifolds, in plumbing and heating systems, both wall hung radiator as well as underfloor heating systems. We are considered leaders in this specialist field.In recent years Emmeti UK have begun supplying other key underfloor heating componentry; this coupled with a state of the art pipe manufacturing division, makes Emmeti the perfect choice for underfloor heating and plumbing components. 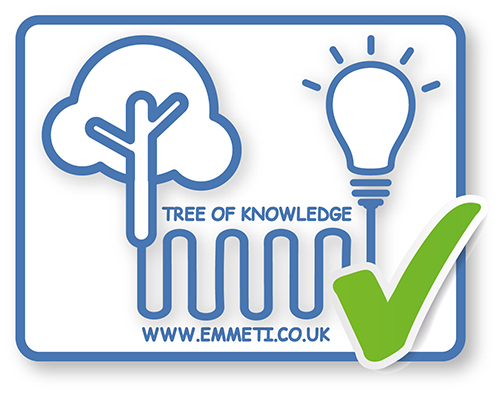 Emmeti have a long history of innovation and are proud to have developed a comprehensive range of simple yet technically competent products driven by UK market needs. these products are shown in this catalogue: EWC-1 Wiring Centres, SLM Single Loop Manifolds, T3 UFH Controllers, and TST Touchscreen Thermostats. All Emmeti products are made to the highest international standards, complying with EN and ISO requirements and all products carry a guarantee and manufacturer’s warranty compliant with UHMA terms. All plumbing products are WRAS certified. Emmeti has a wide range of products targeted to the heating, plumbing, renewable and air conditioning markets and is committed to developing products which reduce and monitor energy consumption. In recent years they have developed significant renewable energy products, and continue to innovate in this emerging field.production was made in 1984 along with the establishment of FIV srl. Since then Emmeti has expanded rapidly and now operates in more than 60 countries worldwide with sales and marketing offices in Spain, France, Brazil, North America and China as well as the UK. The total square meterage for the group is 54,400 m2, with 3 manufacturing plants and warehouses, 280 total employees. They also operate to the highest possible standards and satisfy the requirements of ISO 9001:2000 for its Quality Management System and ISO 14001:2004 for its Environmental Management System. 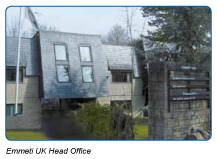 Located in Burford, Oxfordshire, Emmeti UK was established in 2004 to distribute and support Group products from a UK base. We sell only to trade customers including merchants, system houses and specialist companies nationwide who serve the needs of the rapidly growing underfloor heating market as well as the heating and plumbing sector. We have achieved a reputation for excellence in fast order turnround together with sales and technical support to our customers. From our central warehouse located near Oxford we are able to offer delivery within a few days which is supported by weekly shipments from our manufacturing base in Italy.